Dun Ringill is a Swedish doom metal band formed in 2017 by Patrik Andersson Winberg and Hans Lilja from The Order of Israfel fame. “Welcome” is their friendly named debut album. While their work at The Order Of Israfel is more of a classic heavy metal with some doom influences, in this solo project Patrick and Hans go for a significantly darker and slower approach. This album is released through Italian record label Argonauta Records and sent to us by German promoter All Noir Music Agency. The release begins with “Welcome To The Fun Fair Horror Time Machine,” After a 1-minute sample of joyful carnival sounds, the doom metal riffs and howling vocals from Thomas take over. As a whole, this solid opening song ticks off all the doom metal boxes. Heavy, brooding riffs, stretched-out vocals that range from howls to growls as well as some operatic singing. The varied vocals give this long song some nice diversity as well as the rather lighthearted middle part that features the kind of music you would hear while riding a carrousel. Quite funny, actually! Up next is “Black Eyed Kids,” a shorter, faster and more upbeat metal song but the slow vocals help the overall doom remain intact. The song also a relaxing, almost psychedelic instrumental middle part before things explode towards the end. The album’s third track is one of my favorites and that’s “Open Your Eyes (And See The Happiness And Truth).” It has a catchy main melody and Thomas’s vocals are full of despair. This song’s instrumental middle section features gentle acoustic guitar before once again reverting to the classic Black Sabbath inspired riffs for one epic finale. Great stuff! Then comes “The Door,” another sweet tune that showcases Dun Ringill’s ability to smoothly switch between upbeat hard rock beats and moody doom metal riffs in one single song and once again this track is wrapped up by some sweet guitar solo work. The album’s penultimate track, “Snow Of Ashes,” is similar to the release’s opening song in the sense that it’s another full-blooded doom metal tune but this one’s shorter and better paced. The final song on “Welcome” is “The Demon Within.” Another doom track, but the addition of female angelic singing and Deep Purple like keyboard tunes give this song a much different feel compared to the earlier tracks. It’s a great ending to an overall surprisingly well executed debut! 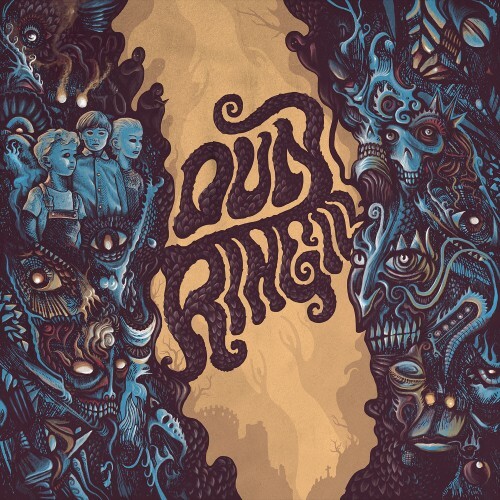 Dun Ringill’s first album was a very enjoyable doom metal beast to shred through. However, I do feel that the samples at the beginning and ending of each song don’t add much to the overall experience. Despite that, Dun Ringill offers a tasty blend of classic hard rock and doom metal that can be equally enjoyed by fans on both sides of the spectrum. I’m certainly keeping my eye out for future material from this band! Here’s the music video for “The Door” track.